You can lower your energy bill by installing solar panels in your home. Visit this website for details www.warmtraining.org/solar.Click here to see and download a flyer. · How to prepare to pay zero for college! · What to do if you are already carrying debt with more students to educate! · Why the cost of college is not the problem! · The Rules of Funding and their significance! Certified College Planning Specialist, Jeffrey Taylor is widely recognized as a Trusted Advisor in the community. He has helped many families reduce their cost of college and make it affordable. His planning strategies prove that the cost of college is not the problem and that student loan debt is optional! Attending his seminars has proven to be a must for any parent and student that want to learn how to beat the high cost of college and design a 100% funded college plan. As seen in the Detroit Free Press, the Federal Reserve Bank Money Smart Week, and the Michigan Money Summit with Fox2 Murray Feldman. Click here to read the current Detroit City Charter. Find out what laws listed to be enforced. Click here to see the laws that are “on the books” in the City Of Detroit, to be enforced. Click here to download the flyer below. •Identity theft. Con artists just love to get your Social Security number and other key bits of personal information so they can fill out a bogus tax return and collect your refund. The IRS has a special section on IRS.gov dedicated to identity theft issues, including YouTube videos and tips for taxpayers. •Phone scams. Callers pretend to be the IRS, hoping to get information from you. After threatening victims with jail time or a driver’s license revocation, they hang up. Moments later, other scammers call back pretending to be from the local police or DMV. If you know you owe taxes (or think you do), call 1-800-829-1040 and talk to an IRS employee. If you’re pretty sure you don’t owe taxes, call and report the incident to the Treasury Inspector General for Tax Administration at 1-800-366-4484. •False promises of inflated refunds. Honest preparers don’t make wild claims and have a tax preparer identification number. Beware: You’re legally responsible for your return, even if you don’t prepare it. •Offshore tax shelter scams. The IRS has collected billions of dollars from people who thought they were hiding money offshore, and they’re getting better at it. It’s not worth the risk. •Fake charities. When disaster strikes, you’re likely to get call from charities asking for help. Always investigate before you donate. Unfortunately, they might not only take your money, but get you in trouble with the IRS as well. .IRS.gov has a search feature, Exempt Organizations Select Check, which allows people to find legitimate, qualified charities to which donations may be tax-deductible. •Frivolous arguments. You may believe that paying taxes is an unconstitutional infringement on your liberty, but good luck finding a court in the land that will agree with you. The IRS certainly won’t. You could be reliable for penalties for filing an inaccurate return, a civil fraud penalty, an erroneous refund claim penalty, or a failure to file penalty. Want to argue the law? It’s such a dumb argument that the Tax Court may also impose a penalty against taxpayers who make frivolous arguments in court. Naturally, claiming you have no income when you do, claiming fictional dependents or using abusive tax shelters will get you in trouble, too. Go to www.irs.gov for the full list. You can sign your entire family up for the registry and inform your friends and colleagues about how they can protect children and families from unwanted adult advertising. To sign up only takes seconds. Just go to www.ProtectMIChild.com and keep your family safe. The flyer with the frequently asked questions can be downloaded HERE. Senator Virgil Smith left a copy of his accomplishments for 2013 and his goals for 2014 at a recent Bagley Community meeting. Click here to read the letter about blight law passed and scrap metal theft legislation. A Bagley Community resident says Tony Sewell (313) 918-4423 is reasonably priced and thorough. He did work for others on Stoepel & Santa Rosa. Mr. Jackson Christopher Barlett spoke to Bagley residents at the Bagley Community meeting on May 17th. He is a student at Northwestern University in Illinois working on his doctorate in African American Studies at Northwestern University. A former resident of Detroit (2006-2011) he is in Detroit on a fellowship to conduct preliminary dissertation research – Future City, Future Citizen. Please click here to download the flyer and learn more. Do You Or Your Group Need A Place To Meet? To report a dangerous dog. Call 313-224-6356 8 am -3:30 pm Monday – Friday. Call 911 to report dangerous dogs at any other time. If neighbors can find a safe way to confine a dangerous dog until it can be picked up, good results are accomplished more rapidly. To report stray, vicious or nuisance dogs call Animal Control with the animal’s location. To adopt an animal or to obtain more information call Animal Control. If you are interested in adopting a park in Detroit please contact (313) 224-1258 Adopting a park will allow for it to be cleaned, grass cut, adults and children will be able to gather and play. If you are doing something, please click these links so you can be in compliance with the City Ordinance. The FBI is involved with relations. the Citizen’s Academy is a 6 -8 week program so people can see what the FBI does. The Junior Special Agent Program is a 6-8 week program where FBI agents go into schools to show students crime prevention, anti-bullying, and gun safety. Students “graduate” and become youth ambassadors. Community Relations Training (CREST – for adults only) is an 8 hour training program. The training is centered around whatever topic the citizens are interested in asking/learning about. Bagley Community Residents who are interested may call the Bagley Community Hotline at (313) 927-2674. The FBI headquarters is 477 Michigan Avenue, The McNamara Building, downtown Detroit. – MDOT has a claims process for motorists whose vehicles are damaged by hitting a pothole on a state trunkline. – Few claims are eligible for payment because potholes develop quickly. The Michigan Department of Transportation (MDOT) has a claims process for motorists whose vehicles have been damaged by hitting a pothole on a state trunkline, but certain conditions apply. First, the pothole must be located on a state trunkline. A state trunkline is a highway with an M, I or US prefix, like M-1, I-75 and US-131. MDOT only has jurisdiction over state trunklines. Other roads are under the jurisdiction of counties, cities or villages. Additionally, to prove a highway defect claim, state law requires a motorist to show that the road agency failed to maintain the highway in reasonable repair. The motorist must show that MDOT knew of the condition and had an opportunity to repair it, or that the condition existed for more than 30 days. Few claims are eligible for payment because potholes develop quickly. A claim form and instructions are available on the MDOT website at: http://www.michigan.gov/mdot/0,4616,7-151-9615_30883-93194–,00.html. Claims for less than $1,000 must be submitted to the MDOT regional office or transportation service center (TSC) that covers the county where the incident occurred. MDOT regional offices and TSCs can be located on the MDOT website at: http://www.michigan.gov/mdot/0,4616,7-151-9623-36042–,00.html. If a claim is for $1,000 or more, it must be filed with the Michigan Court of Claims in Lansing. Contact information for the court is available on the pothole claims page on the MDOT website. Low-income Michigan residents are eligible for a program that provides a free cell phone and 200 freeireless minutes a month through Assurance Wireless. The program is available to more than 835,600 eligible low-income households throughout Michigan, Assurance Wireless officials said. Assurance Wireless is one of Sprint’s prepaid brands. People eligible for the program include those eligible for or receiving Medicaid, food stamps, Supplemental Security Income (SSI), Temporary Assistance for Needy Families, Federal Public Housing Assistance (FPHA or Section 8), Low Income Home Energy Assistance (LIHEAP) or the National School Lunch Program’s Free Lunch Program. Residents may also qualify based on household income. Assurance Wireless provides consumers with free voicemail, call waiting, caller ID, and access to 911 in case of emergency. Beyond the free 200 minutes, customers can pay for additional 10-cent per minute domestic calling, international calling, 15-cent text, e-mail or instant messages and more. Assurance is supported by the Lifeline Assistance Program, part of the Low Income Program of the federal Universal Service Fund (USF), designed to make phone service available to low-income customers. To learn more about Assurance, including eligibility requirements, call 1 (888) 898-4888 or visit www.assurancewireless.com. If you are in need of gutter and porch repair Tommy Carstarphen does good work according to a resident in the Bagley Community. His number is (313) 213-0443. Jason Bradford does roofing and home repairs. He can be contacted at 313-784-8476. He does good work according to a resident in the Bagley Community. Central District is now the 3rd Precinct (was the 1st Precinct for a month). The downtown area (south of Mack) is the 1st Precinct/Central Business District. The Boston-Edison area (west of Woodward) will move to the 10th Precinct. The intent of this website is to provide teens, ages 13-19, with information about adolescent resources and events throughout the Metro Detroit area. We are a locally-owned, independent, reader supported — online teen resource directory that appreciates your support. No person shall distribute, or cause to be distributed, any advertising material to any residential premises upon which is posted a notice that states “No Trespassing”, “No Handbills”, “Post No Bills” or any similar language. Such a notice shall be posted in a conspicuous place near the front entrance of the residence. (Code 1964, § 3-1-1; Ord. No. 28-99, § 1, 8-4-99) Secs. 3-2-6–3-2-10. Reserved. If you put a notice on your door and companies violate it you can call Sgt. Shirley Bledsoe at the 12th Precinct at (313) 596-1221. If you notice a buildup of handbills at any vacant home in our neighborhood, please pick them up and throw them out. Thank you! SBA and Small Business Majority will continue to host free Affordable Care Act 101 webinars so small business owners can learn the basics of the Affordable Care Act and how they can enroll in health insurance marketplaces. Join us every Thursday at 2 PM. Do You Want To Find Out Who Owns Property? Do You Want To Find Out When Your Bulk Pick-Up/Trash Day? Unpaid property taxes can result in your losing your home. The Wayne County Treasurer understands the difficulties many people are facing. If you have fallen behind on your property taxes and wish to make a payment arrangement, please call 313-224-5990 and ask for assistance. Dear Resident, Property Owner or Renter: Occupants of a dwelling unit are responsible for keeping the dwelling unit or premises in a clean, habitable, sanitary, and safe condition following city code. Within a reasonable amount of time, please attend to following item(s). The number to report violations: 313-224-4636. Failure to comply will result in an issuance of a Blight Violation Notice and fines/fees ranging from $100-$10,000 per violation plus State Justice Assessment, a City administrative fee and the cost incurred by the City of Detroit for abatement. Blight Violation Notices will be heard at the City of Detroit Department of Administrative Hearings, Coleman A. Young Municipal Center, 2 Woodward Avenue, Ste 1004. Free summer meals (breakfast, lunch, or snacks) will be served to children in low-income areas at sites such as neighborhood parks, libraries, schools, places of worship, mobile buses, and recreation centers. To find free summer meals near you, call the toll-free National Hunger Hotline at 1-866-3-HUNGRY or visit www.whyhunger.org/findfood. If you work for an organization that serves low-income children, you can learn more about addressing childhood hunger when school is out by watching the Summer Food training videos. Learn more about the summer meals program. You can also get childhood nutrition e-mail updates from the USDA’s Food and Nutrition Service. Announcing a new FREE shuttle service to Metro Foodland, the only African American owned grocery store in Michigan. Wheels for Food Justice sponsored by Uprooting Racism Planting Justice has recruited community partners to provide this free shuttle service to help citizens get to better food choices. Call and schedule a pick up MONDAYS, TUESDAYS, THURSDAYS and FRIDAYS from 10 am-3 pm. 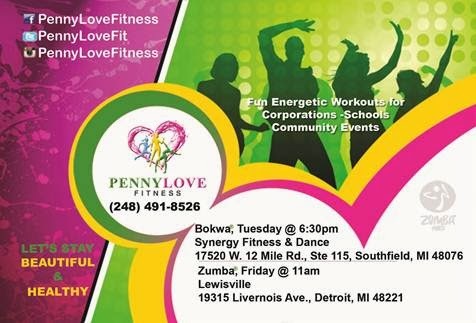 Call 810-373-5142 or 313-923-7217 or email erpjmlp@gmail.com. Metro Foodland, 18551 Grand River, Detroit 48223. Services: deli, bakery, payment center, ATM, EBT, WIC, postage and great customer service. Contact AJ at (313) 429-5009 Twitter: @EvictDefense. More information at www.peoplebeforebanks.org See “Happenings In Detroit” posting for meetings. The theft of scrap metal contributes directly to blight in our city and is not just an urban issue. It affects our suburban and rural communities as well. In recent years, thefts of various types of metal have increased in Michigan and nationwide. This trend involves the theft of copper tubing from construction sites, or copper wiring from telephone or utility lines. In addition to construction sites and utility facilities, metal products are stolen from schools, churches, cemeteries, parks, farms, automobiles, and abandoned and occupied homes. Equipping law enforcement with the tools they need to effectively combat the crime of scrap metal theft, while continuing to enforce and strengthen current laws for scrap metal recyclers is the approach I supported when I began working on this issue. Legislation to combat this issue had been introduced in the House and was being negotiated for further passage. I conducted my own research on the issue and began to meet with my colleagues in the House and Senate to formulate a solution. I and my staff met personally with each bill sponsor including Representative (now Senator) Ananich, Representative Muxlow, and Representative Tlaib. Every legislator and their staff were cooperative, except Representative Tlaib who seemed to have an agenda beyond finding solutions to this issue. I offered to work directly with her to create a powerful legislative solution to this issue that we both could agree on, and she declined to cooperate. I listened to concerns from constituents, law enforcement, and other interested parties regarding this issue. I introduced my own legislation to address an area I felt the house legislation lacked– dedicated funding for law enforcement to police this issue. In the process of negotiating the passage of the House scrap package Representative Tlaib’s bill was removed from the legislation due to her inability to get her Democratic and Republican colleagues to support her. Eventually Mayor Mike Duggan entered discussion on the legislation and I supported his position on this issue. House Bills 4593 and 4595 were passed and expand the Nonferrous Metal Regulatory Act to regulate the selling of all types of scrap metal. House Bill 4593 was the lead bill and did the following: A seven-day tag and hold will remain on copper items. Payments for scrap metal sales will be paid either by mailing a check or electronic transfer of funds on any payment of $25 or more. Dealers cannot pay cash for the following items: catalytic convertors, air conditioners, and copper wire. A picture must be taken of the person selling the scrap metal. Finally, a database to track sales may be created. Here is some information you can save to your computer and/or print out. The purpose of www.foreclosuredetroit.org is to help keep people in their homes by providing one centralized location of free, credible information and resources related to the foreclosure process. The website is a service of The Detroit Office of Foreclosure Prevention and Response, an independent public/private initiative that serves as a centralized clearinghouse. 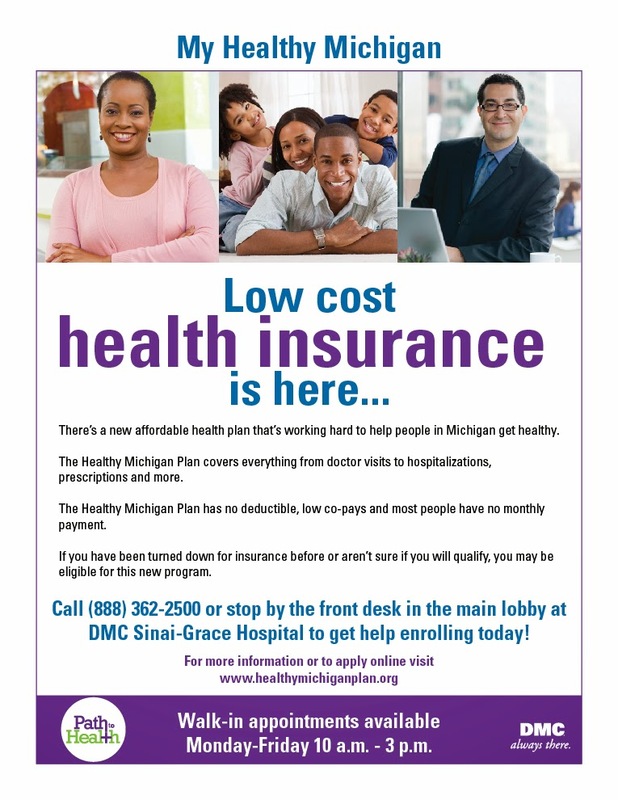 Here are links to free health clinics, inside of and outside of Detroit. Non-standard vehicles, such as mobile homes, commercial vehicles and boats, would be subject to additional costs. A $15 storage fee will be assessed for each 24-hour period any vehicle remains impounded. Towing rates in the surrounding area range from $185 in Warren and $170 in Ferndale to $155 in Dearborn and $124 in Southfield. Detroit’s $215 rate remains lower than towing rates in many other major U.S. cities. If anyone in the Bagley Community is interested in grant writing, please let us know by email BagleyCommunityCouncil@Yahoo.com or hotline (313) 927-2674. The Bagley Community Council was awarded a CAPP grant in 2009, along with 10 other organizations. The ten organizations approved for CAPP grants are the 200 Lakewood Block Club, Bagley Community Council, Central Detroit Christian Community Development Association, Corktown Residents’ Council, Detroit Catholic Pastoral Alliance, Historic Boston Edison Association, Land Assembly for Neighborhood Development, Our Neighborhood Engaged, Southwest Detroit Business Association, and the Springdale Woodmere Block Club.This is the second round of the CAPP program, which provides supplemental financial assistance to community-based organizations that are incurring costs due to do-it-yourself vacant property maintenance and security initiatives.. The CAPP program helps stabilize Detroit neighborhoods suffering from increasing numbers of vacant properties and declining vacant property conditions. The Community Legal Resources received dozens of grant applications. The applicant pool was very diverse, representing different kinds of organizations and neighborhoods. Organizations applied for funding for security and maintenance activities including 1) mowing lawns, 2) boarding up properties, 3) cleaning trash from vacant properties, and 4) plowing snow. Several organizations proposed innovative strategies, like using murals to fight blight on abandoned commercial properties and launching a neighborhood Adopt-a-Vacant Property program.The CAPP program is funded by the Kresge Foundation and administered by Community Legal Resources (CLR). CLR is a nonprofit legal services provider and the lead organization on a collaborative project called the Detroit Vacant Property Campaign (DVPC). The DVPC is an initiative of Detroit Local Initiatives Support Corporation and involves community groups, city residents, faith-based organizations, Community Development Advocates of Detroit, and the University Of Michigan Taubman College Of Architecture and Urban Planning. The purpose of the campaign is to empower Detroit residents to reduce the negative effects of vacant properties and turn vacant properties into neighborhood assets. For more information, please see www.detroitvacantproperty.org. The Bagley Community Council can do this again with the help of the Bagley residents. Help us get this started. Getting free money to help us help ourselves is the Way To Go. If you are on medicare or know someone who is, read the information below and watch the video. Do not let the hospital admit you with the words, “Under Observation.” Insist on “In-Patient” designation. Otherwise, you will be responsible for the hospital expenses. It might be wise to inform family members too. THAW (The Heat And Warmth Fund) – Agency has money for emergency utility assistance at THAW sites. Clients should call (800)866-8429 and enter their zip code to find the nearest THAW site and availability of assistance. WARM Training Center – Established in 1981, WARM Training Center is a 501(c)(3) nonprofit organization based in Detroit, Michigan. WARM’s expertise is in energy efficiency, green building, and sustainability. We provide these services to residents, businesses, local governments, and professionals. http://www.warmtraining.org/about/ This is designed to make people more aware of energy conservation and consumption, also tips on how to lower utility bills. The seminar can be held for small groups, clients, larger groups or employees. Anyone interested should call (313)894-1030. SER Metro – Agency is currently providing training and Green Jobs placement opportunities. Interested applicants must be at least 18 years of age, a Wayne County resident (identification will be checked), no felony convictions, currently unemployed, and preferably a laid off or displaced auto worker. A high school diploma or GED is also required. If interested contact SER Metro at (313)945-5200 extension 221 for more information. Wayne County Legal Services/Southwest Solutions – Funds for emergency housing assistance. Contact (313)964-1975 for more information. COTS – Agency has funds available for emergency housing and utility assistance. Clients are eligible for re-housing if they are homeless, currently living in a shelter or someplace unsuitable (such as a vehicle or abandoned property). COTS also has funds available for eviction prevention through rental assistance and can pay up to 3 months in arrearages, and also for individuals who have already been evicted and are currently staying with friends or relatives. Utility assistance is also available. Anyone interested should contact COTS at (313)831-3777 extension 403 for further details. St. Vincent DePaul – Is assisting with food, clothes and furniture for clients in need. Please contact them at (313)393-2926, or the resource line at (313)393-3036 for more information. Wayne Metropolitan Community Action Agency – Is currently offering energy and financial education classes to assist clients with building credit, managing money, predatory lending practices etc. They are also offering food vouchers and tax preparation services. To find out more information and how to qualify for these services, contact Wayne-Metro at (734)284-6999. The Detroit Blight Authority was created by Bill Pulte of Pulte Homes (and CEO of Pulte Capital Partners) to remove blight from the City. The first blight removal was a 10 city block at the corner of St. Aubin and Wilkins Street, near Detroit’s Eastern Market. The goal is to bring communities alive, block by block. The Detroit Blight Authority is a non-profit organization. The Authority was unveiled by Mayor Bing and Bill Pulte. LANSING — Owners of blighted and neglected property who don’t pay their fines in Michigan would face tougher penalties — including potential jail time — under legislation overwhelmingly approved by the state Senate. Lawmakers say the bipartisan bills, which now head to the House, will provide cities with the tools to hold blight offenders accountable and help raise revenue for cities such as Detroit to tear down abandoned buildings.“There are cases where people buy buildings in Detroit and other cities and let them rot,” Republican Sen. Rick Jones of Grand Ledge, who is sponsoring one of the bills, said in a statement. “We need to put teeth into blight laws so that slumlords respond to blight infractions.” Under the bills, which were approved by a 35 to 1 vote, if a person has more than $1,000 unpaid fines on a second blight violation, he or she could face misdemeanor charges punishable by up to 93 days in jail, a fine up to $500, or both. If the owner has three or more blight violations, the penalty is up to a year in jail. Democratic Sen. Virgil Smith of Detroit said most offenders would receive probation, not jail time, but the law will “hold that criminal sanction over somebody’s head.” Smith, who sponsors another bill, said blight is not just an urban issue but also happens in rural areas, such as abandoned farms. People who have outstanding blight violations also would not be able to receive building or zoning permits. Banks and credit unions, however, would be exempt from the bill. Smith said the problem occurs most often when speculators buy “bundles of property at one time…they don’t take care of their property and it gets reverted back to the county treasurer for not paying their property taxes.” “It’s a vicious cycle,” he said. You can stop speeding in your neighborhood by calling (313) 596-1464. You do not need to be a member of a block club to come to the Bagley community meetings every 3rd Saturday of each month at the 12th police precinct 10 am – 12pm. (no meetings in July – August). You *MUST* be a resident of the Bagley community. There is a Detroit Police mini-station in the Northwest Activity Center. The Northwest Activity Center is located at 18100 McNichols Detroit, Michigan 48235 (313) 578-7501. Click on the link for more information on the Northwest Activities Center https://www.detroitmi.gov/?TabId=1116 There is a movie theater at the center. Events can be held at the center. Detroit Public School parents who earned less than $57,000 last year can file their federal and state tax returns online for free. Bring W2s, 1099 Social Security information, direct deposit information, landlord information to get a renter’s credit, all other tax information for everybody in the home. Parents can prepare their tax forms at the following locations: Bennett Elementary, Marcus Garvey Academy, Osborn High School, Drew Transition Center, Ludington Magnet Middle School, Cody High School, Priest Elementary-Middle and Detroit International Academy. This is a special service given by United Way for Southeastern Michigan and the Wal-Mart Foundation. Do You Need A Caterer For Your Events? Arthur Fay’s Corporate and Family catering is located at 19160 Conant Detroit, MI 48234 Phone: (313) 891-9200. Click the link to see the menu. Did you know there is money available for home repairs or to start a business? Have You Been Charged The Wrong Price At The Grocery Store? The is a Scanner Error Bill Of rights. Our State law requires that the price of most items in stores be displayed by a method that clearly and reasonably conveys the price in the store at the place where the item is located. If you are charged more than the price displayed, the law gives you specific rights. You must notify the seller that you were overcharged, within 30 Days of the transaction, either in person or in writing. Within 2 days of receiving your notice, the seller may choose to refund to you the difference between the amount charged and the price displayed, plus “bonus” of 10 times the difference, with a minimum of $1 and a maximum of $5. If the seller refuses to give you both the refund and the bonus, you may bring a lawsuit to recover your actual damages or $250, whichever is greater, plus reasonable attorney fees up to $300. If the price of the items not clearly displayed in the store at the price where the item is located and suffer a loss due to an overcharge, you may bring a lawsuit to receive your actual damage or $250, whichever is greater, plus reasonable attorney fees up to $300. If you bring a lawsuit and can prove violations of the law occurred on separate occasions, you may recover your actual damage or $250, whichever is greater, for each day on which violation of the law are found. If you purchase several identical items at once and were overcharged on each, you may collect the bonus only once, but you are entitled to the refund of the difference by each identical item. If you decide to bring a lawsuit against the seller, you can choose to file a complaint in a Small Claims Court without attorney. Detroit residents can still save money on their prescriptions with a drug discount card available through the Detroit City Clerk’s office. The free prescription drug discount cards provide an average savings of 20 percent off the retail price of commonly prescribed drugs at participating pharmacies. 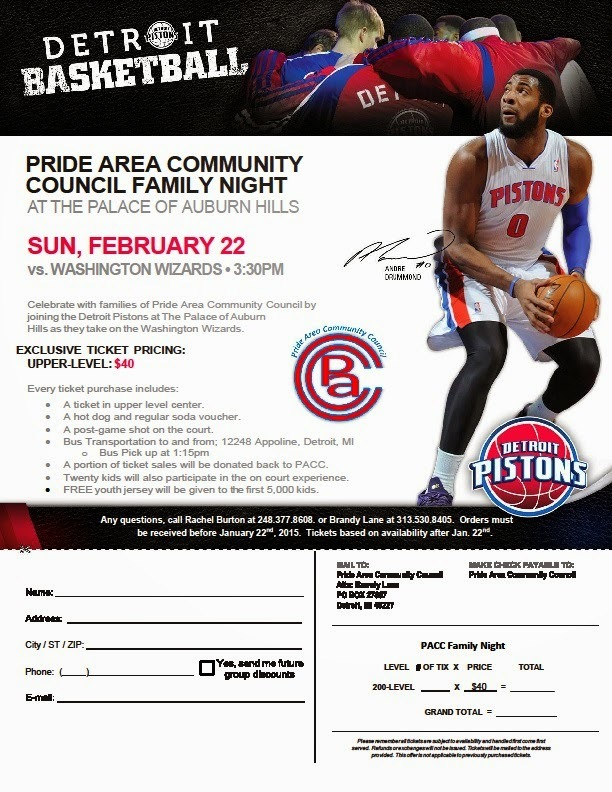 The prescription discount card is available to residents through the City of Detroit in collaboration with the National League of Cities in Washington, D.C.
residents, regardless of age, income or existing health insurance. Detroit residents can get a card from either participating CVS pharmacies in Detroit, the City Clerk’s Office (Coleman A. Young Municipal Center, 2 Woodward Ave. – Suite 200) or the Department of Elections (2978 W. Grand Blvd. For more information, call (313) 224-3261). As an added convenience, the Detroit Water and Sewerage Department is now accepting Visa and MasterCard for bill payments. Customers can pay bills through credit/debit cards at any DWSD service center location. DWSD also offers customers the opportunity to pay online at dwsd.org 24 hours a day, 7 days a week. Customers can review their current billed charges, billing history, and more information online at www.dwsd.org. Property ownership information for all accounts. Begin printing the customer name on water and sewer bills. Require deposits for service restoration after an account is terminated for non-payment. Aggressively take action against illegal usage by disconnecting service at the main. Utilize collection agency services for all delinquent customers. Begin credit reporting for all customers. This link from the Buildings, Safety Engineering & Environmental Department on the City of Detroit website contains helpful information on what to do. Focus: HOPE continues to recruit students for a new round of job training courses in Advanced Manufacturing and Information Technology. Prospective students can contact the Admissions office at 313-494-4300 to learn about job training opportunities, or stop in the office at 1200 Oakman Boulevard. They also will learn about a new work readiness program called Ready, Set, Go! that provides assistance in math, reading, computer and communication skills, and study skills. Does your non profit organization need help? Click this link Helping Non Profits Make A Difference . WASHINGTON – The Department of Veterans Affairs (VA) today announced the phased roll out of newly designed, more secure Veteran Health Identification Cards. The new cards are distinguished by additional security features and will have a different look and feel. In addition to being more secure, the card has been transformed into a Veterans Health Identification Card (VHIC). Similar to a typical health insurance card, the VHIC displays the Veteran’s Member ID, a new unique identifier, as well as a Plan ID, reflecting the Veteran’s enrollment in VA health care. The VHIC is personalized to display the emblem of the Veteran’s branch of service. It also provides features that make it easier to use, such as the addition of “VA” in Braille to help visually impaired Veterans, and the printing of VA phone numbers and emergency care instructions on the cards.